The Global Block Builders are hosting their debut blockchain conference this upcoming April 10 – 13 in Austin, Texas at the Coppertank Event Center. The Global Block Builders are a group of enthusiastic blockchain leaders from a diverse background, joining together for the purpose of high-level education and intentional collaboration. 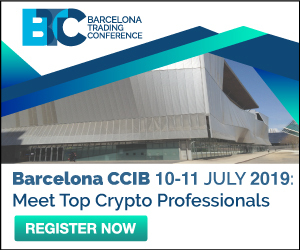 To find out more information on this conference or to purchase tickets, please visit the official website at https://globalblockbuilders.com or chat within the Global Block Builders Telegram group at https://t.me/globalblockbuilders. To message the team directly, send an email over to ij@steemcreators.com. Previous Entry BTT, B2G, ARK and others: Good Old Pump&Dump?